On 17-18th December 2018 the 3rd International Conference for Carceral Geography, organised by the Carceral Geography Working Group (CGWG) of the Royal Geographical Society – Institute of British Geographers (RGS-IBG) and The International Criminological Research Unit (ICRU), University of Liverpool took place. The conference was hosted by the School of Environmental Sciences, University of Liverpool in conjunction with the Power, Space and Cultural Change research group in the Department of Geography and Planning. The full programme is available via the website. 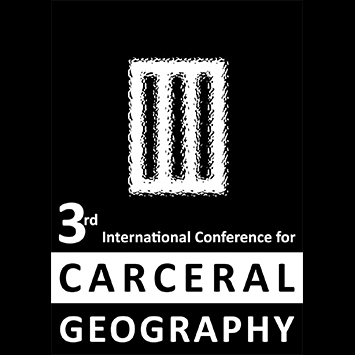 The 3rd International Conference for Carceral Geography provided an opportunity for presentation and discussion of work on all forms of carcerality; camps, confinement, custody, detention and incarceration, from carceral geographers, and scholars, scholar-activists and practitioners from all disciplines. ‘Counterpoint’ is a term used in musical theory to describe the relationship between voices that are simultaneously independent yet interdependent. We deploy this term here to describe the differing perspectives which characterise carceral research – including scholar-activism aligned to abolitionism or reductionism, and research conducted within and with the formal approval of, carceral establishments. We see all of these voices as purposeful and productive, and through this theme we seek to highlight both their independence, and the interdependences between them. All perspectives were welcomed, and the theme of ‘carceral counterpoint’ encouraged constructive and collaborative dialogue across the diversity of perspectives. Through the theme of ‘carceral counter-intuition’ we sought to explore the unexpectedness of carcerality, its unimagined forms and its unforeseen aspects – and simultaneously to interrogate their apparently counter-intuitive nature. Carceral geographers and others have noted that the carceral exists in unexpected places beyond the formal contours of detention or prison; carceral scholarship is increasingly identifying previously under-recognised aspects and consequences of confinement, and innovative methodologies are uncovering under-researched elements of carceral experience. And beyond the ‘academy’, 2018 has itself brought the ‘unanticipated’. An unexpected heatwave in Europe has caused deterioration in prison conditions – yet climate change research tells such that such extreme weather events are increasingly likely. And the US has seen the unthinkable – the separation of migrant families at the border and the incarceration of migrant children – in a move depicted by the Trump administration as an inevitable consequence of the enforcement of a ‘zero tolerance’ immigration policy. The conference committee was pleased to welcome Professor Dominique Moran (University of Birmingham) and Professor Chris Philo (University of Glasgow) as this year’s keynote speakers.